Who We Are - Manna's Hana Riding Center, Inc. Manna's Hana Riding Center, Inc.'s Mission: To provide recreational riding for individuals with special needs in the Upper Cumberland area of Tennessee. The inspiration for Manna’s Hana Riding Center, Inc. is to assist those with disabilities through equine-related activities and therapy. The program will be held one day a week starting on Thursdays and Saturdays; lessons are 45 minute in length. Our horses can handle weights up to 160 pounds. 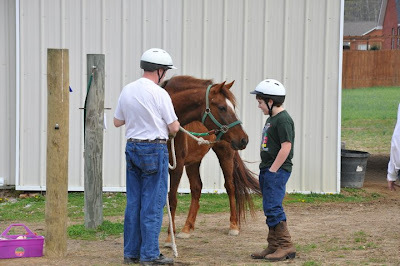 Doctor's releases and interviews with the parent and child are required before being a part of our riding program.